For use with Adair one-piece and Cimarron one- and two-piece toilets. With its traditional styling, this Accent sidespray offers flexibility of design for your kitchen decor. One-touch spray operation provides convenience for rinsing dishes or cleaning the sink, and the enhanced ergonomics of the ball-joint technology makes it easy to maneuver and direct the spray. Cimarron Left-Hand Trip Lever, Vibrant Brushed Nickel The Cimarron trip lever boldly accents the geometric look of the Cimarron Comfort Height(R) toilet. 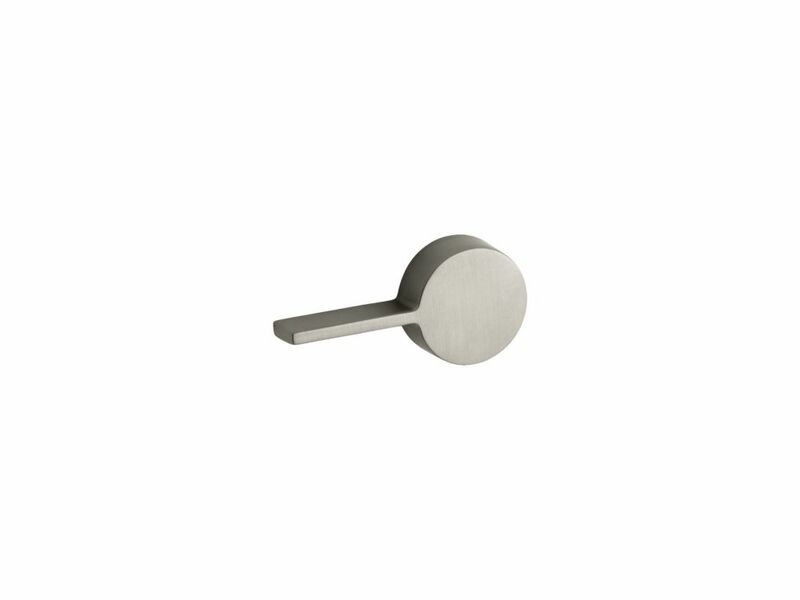 Constructed of solid brass, this left-hand trip lever will help unify your bathroom decor. Cimarron Left-Hand Trip Lever, Vibrant Brushed Nickel is rated 4.2 out of 5 by 6. Rated 5 out of 5 by Amarketier from Perfect lever with a narrow profile. ... Perfect lever with a narrow profile. Rated 4 out of 5 by Matt24 from Perfect but way too expensive! This brushed nickel for our decor fit perfectly. Exactly like the polished chrome handle that came with the toilet. The price on the other hand is another story. Simply way too much for what you get, hence four stars instead of five. You simply get punished for matching your decor but hey.....what can you do? Rated 1 out of 5 by Janea from Not for the side installation The product looks very nice but it does not work for fill tanks that need the lever at the side. Rated 5 out of 5 by fisher from makes the wife happy It my wife nuts when hardware doesn't match. Our toilet came with a chrome trip lever and we were switching to brushed nickel towel racks and faucet. It's great to have everything match! having it delivered directly to our home was a plus.